Senior Rebecca Nelson was Truman track and field’s national qualifier as she competed and finished 12th in the heptathlon at the NCAA Division II outdoor track and field championship in Allendale, Mich. Nelson previously broke the school record in the heptathlon by scoring 4,982 and winning the combine events at the Kansas Relays in April. The previous record was set by Myrna (Moore) Meinke in 1984. 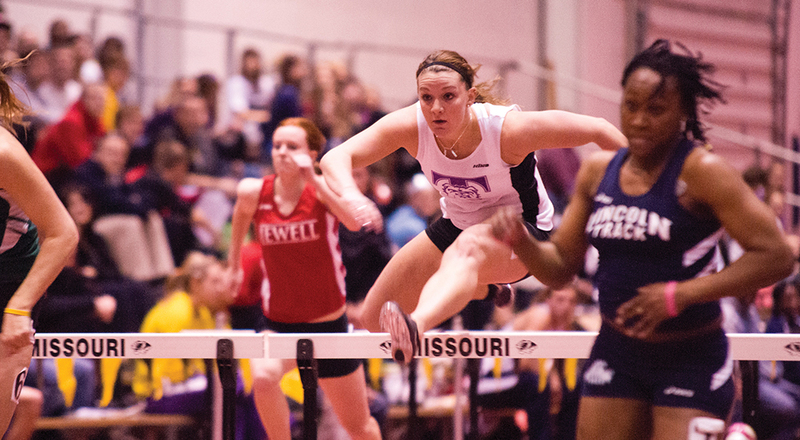 Freshman Sydney Cornett captured the first GLVC individual title for the Bulldogs by winning the high jump at the league’s indoor championship in Indianapolis. Cornett was joined by 13 others to score as the women finished third as a team. In the outdoor meet, Nelson won the javelin as the women again placed third in the team standings. Senior Matthew Schaefer was an all-conference performer for the men with a runner-up finish in the 800 meter run at the outdoor championships. Schaefer, Nick Anderson, Dominic Kacich, Zach Thomas, Matthew Smith and a host of others led the men’s program to a fifth place finish, their best team effort in more than a decade. Both men’s and women’s programs has successful seasons. The women won four combine indoor and outdoor meets that were scored, while the men won a pair of team titles this season. What started as just an idea between two friends keeps getting bigger. Longtime acquaintances and former Truman track and field teammates Matt Helbig (’03) and Ben Rosario (’03) were enjoying a run together when they came up with the idea of opening their own store. Following the advice “do what you love,” they formulated a business plan, raised nearly $100,000 from friends and family for start-up funds and opened their first running and walking specialty store in August 2006. 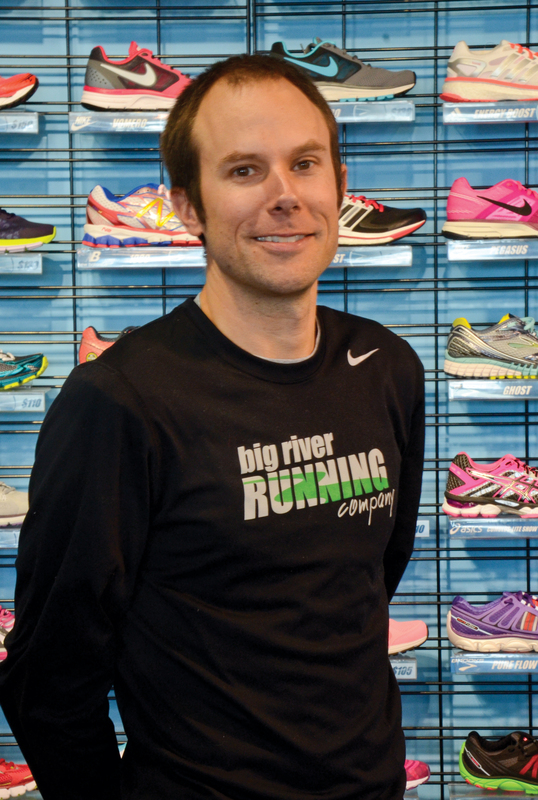 In less than a decade, Big River Running Company has gone from an idea to a multimillion-dollar entity. Today, the company has four locations in the St. Louis metro area, with 35 full- and part-time employees. 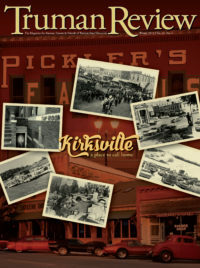 The initial success of Big River Running has also led to greater achievements for its two founders and their community. In 2012, Rosario sold his share in the company to Helbig and moved to the running mecca of Flagstaff, Ariz., with his wife, Jen (Tesmer) Rosario (’03). Rosario now coaches and manages Northern Arizona Elite, a professional sports organization with a mission to recruit, develop and produce distance runners to compete at the very highest level of international athletics. His athletes have won national and international events, represented the United States at the World Championships and are considered strong contenders to make the 2016 Olympic Team. Helbig has an additional business venture as well after spearheading the launch of Big River Race Management in 2007. That company helps plan and provide chip timing for races all across the U.S. Its impact can especially be felt in St. Louis where last year Big River Race Management timed more than 150,000 athletes at no fewer than 220 events, many of which they helped sponsor or bring to the area. St. Louis named it a Neighborhood Business of the Year. In fact, every year since its inception, Big River Running has been named one of the 50 best run specialty stores in the country, and was one of four finalists for the award in 2012. All of his hard work has earned Helbig some attention too, as this year he was recognized by the St. Louis Business Journal on its “40 Under 40” list.